Let us first understand, what does Mauli mean? The literal meaning of Mauli in Sanskrit is ‘crown’, which means above all. Well, Mauli is a sanctified thread which is also known as ‘Kalava’. It is a cotton thread which is spun in a yarn. This thread is dyed in red and yellow combination. 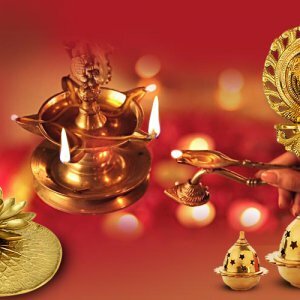 Now that we know what a “Mauli” is let us take a look at its religious significance: Mauli holds tremendous significance in Hindu culture since ancient times. As mentioned above the literal meaning of Mauli is the crown, a crown is always placed above Hence, Lord Shiva is referred as ‘Chandramauli’ as he adornes the crescent moon on his matted hair. It is believed that, reciting the sacred mantras is done to infuse the thread with positivity and invoke the Sattvik (pure) state in humans. It protects the wearer from all negativities and evil influences; it also wards off dangers, diseases and enemies. The ‘Ardhanarishvara’ form of Shiva and Parvati has been depicted as half and half woman. The iconographic attributes depict the right half as Shiva and the left half is Parvati Devi. This generates the Universal Protective Shield in form of energy known as Purusha and Prakriti. The classic example of this would be: The idol of of God in any temple is placed on the right whereas; the idol of the Goddess is placed on the left. 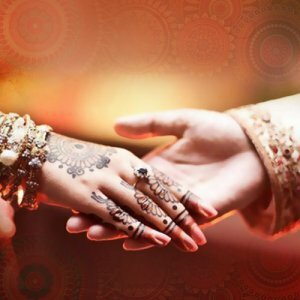 Hence, men are tied Mauli on right wrist while female are tied Mauli on the left wrist. It is believed that by tying the Mauli, blessing from Tridev- Brahma, Vishnu and Mahesh and Tridevi- Lakshmi, Saraswati and Durga; are bestowed upon the devotee. We get fame from the blessing of Brahma, from the blessings of Lord Vishnu we get power to defend the evil and from the blessings of Supreme Shiva we get the power to end all are negative qualities. On the other hand, we receive knowledge from the blessings of Goddess Saraswati, from the blessings of Goddess Lakshmi we get prosperity and from blessings of Goddess Durga we get power. A lot of attributes are associated with Mauli, it is known as the protection shield which keeps the evil/ negative energies and worldly problems at bay. Mauli is also tied to receive blessings from the deity who is worshipped during the puja (prayer) ceremony or havan (Holy fire). In the scripture of Mahabharata too a very important significance of Mauli is presented. During a war, Kunti tied red thread (Mauli) on right hand wrist of Abhimanyu as a shield of protection. None of the warriors could defeat Abhimanyu. It was only when a mouse nibbled off the thread that his protection went away and he was killed. Now that we know its religious significance, let us understand the scientific significance of tying a Mauli. We all know that our body constitutes of 72,000 nerves. Almost all the important veins pass on to the other parts of the body from wrist only. In Ayurveda, there is a theory called as the ‘Tridosha Theory’. According to this theory, our body constitutes of three Dosha (Fault) namely Vaat (Wind), Pitt (Bile) and Kaptha (Phlegm) s. These three bio-elements are very unstable. If a small amount of weight is placed on the wrist it activates the nerve centers in that area. Thus, when Mauli is tied around the wrist it activates the nerves center and helps in improving the blood circulation which balances the Tridoshas. It also helps in keeping the negative energies away from our aura and acts like a protecting shield. I hope you enjoyed this read and this article answered all your queries about the sacred thread ’Mauli’. If you liked this article do post your comments to us in the space provided in the comment box or like this article.